We currently have the following Salt Water Pools in Leeds (England) (England), but we are normally grateful for any corrections or contributions. Get in touch through our contact form. Are you on holiday and want to maintain fit and healthful? 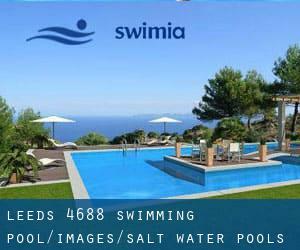 Swimia.com gives you the uncomplicated and quickest approach to find pool near Leeds. These are the Salt Water Pools in Leeds (England) (England) other users have reported. Are you a local and your pool is just not listed? Contact us to ADD IT. It's free of charge! Looking for Salt Water Pools in Leeds (England) (England)? Many of them belong to gyms or sport centres which also offer you lessons. Water sports are escalating especially in elderly population sectors who have suffered some style of muscle or bone damage. If you might be visiting Leeds make sure you know the rules and regulation for swimming as they may not be the identical as inside your household town.